It’s been a year now since my last Great Grand Genealogy Tour (GGGT). Man, I think it’s about time to finish posting my findings! This tour took me through the heart of Beck country. Lunch … or dinner … or supper or something. 7/10/15. 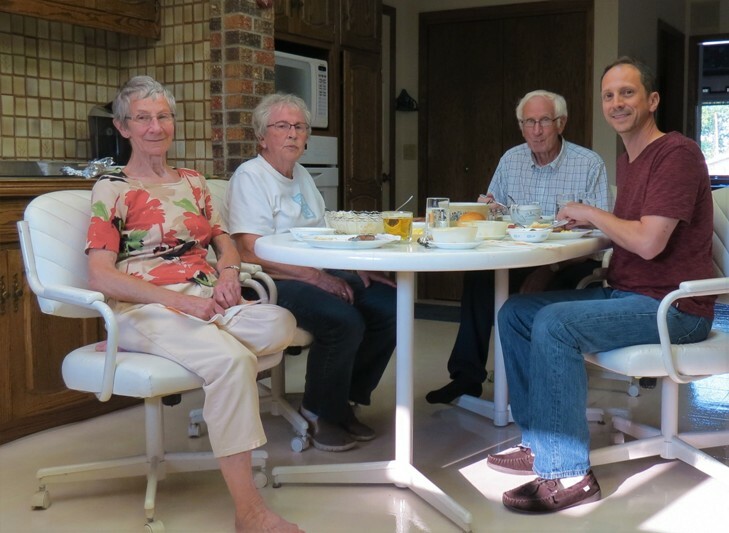 Pat, Grandma, Grandpa, me, at G&G’s house, Munich, ND. The name “Beck” (originally Böck) comes down through my maternal grandfather, Rallan Beck (born 1931, ND). 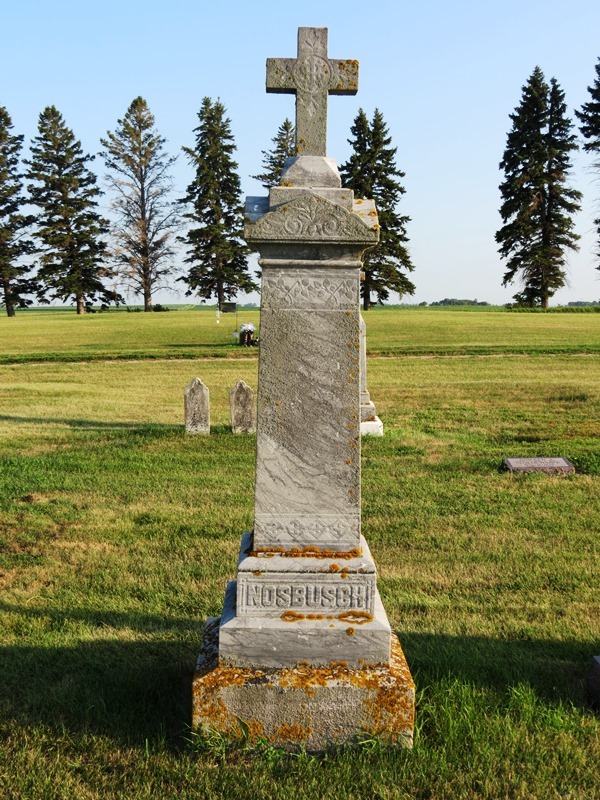 Grandpa’s ancestors have been in ND and MN since the 19th century, with surnames Beck, Helten, Nosbusch, and Mueller. My goals for the trip were to rediscover historic Beck sites, to visit as many farms, churches, and graves as possible, and to learn more about Grandpa’s own younger days and recollections. Like most family history, a lot of basic knowledge had been lost to our collective memory. Even Grandpa and his sister Pat did not know much beyond their grandparents. The most significant discoveries of this trip were the graves of 3GGPs Nicholas and Annie Helten. (GGM Beck’s paternal grandparents). It was amusing and bemusing to discover that Nicholas has been buried under our noses all this time, but we forgot about him! He is located right next to the flagpole in St. Boniface Cemetery. Grandpa has three great-grandparents in the St. Boniface Cemetery. They had already been lost to family memory by his time, and were only “rediscovered” this decade. It turns out that Annie is still in Minnesota. 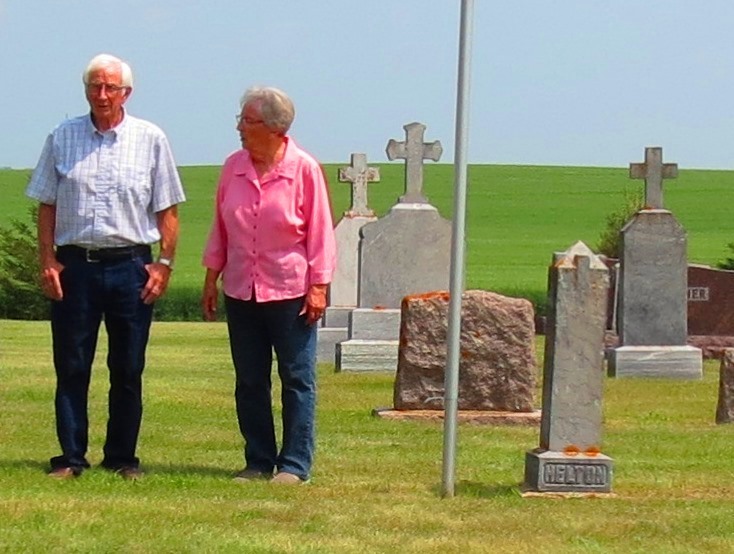 3GGPs Helten had spent most of their life together in Stearns County, MN. 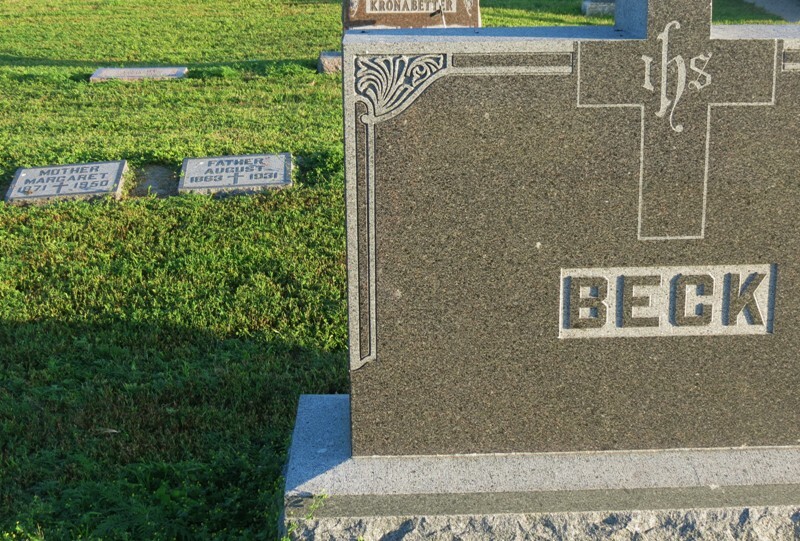 They must have moved in with one of their children in Benton County, MN, because Annie was buried there when she died in 1903. 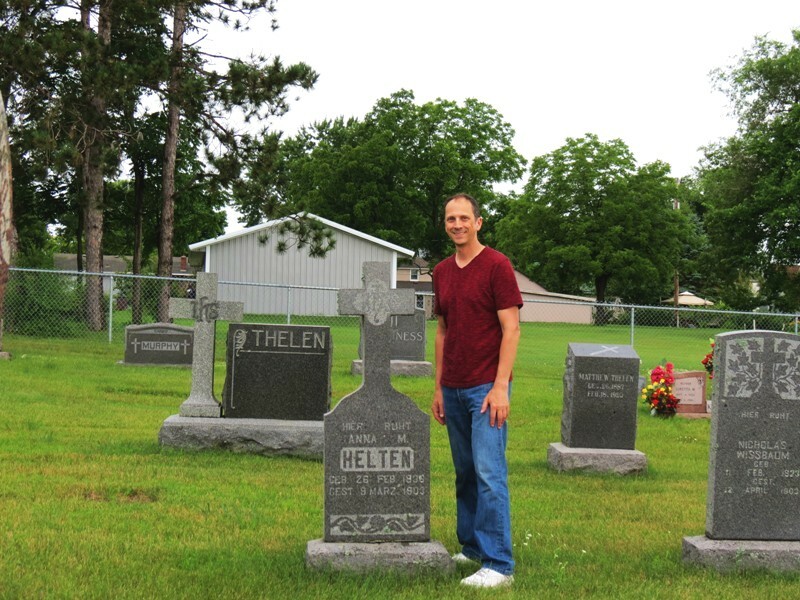 Cousin Kassie Zimmer did some library research in MN to help me rediscover 3GGM Helten’s grave. After that, Nicholas moved to ND to live with one of his daughters. Great Grandma Beck remembered him. My 2GGPs August and Margarethe Beck met in St. Leo, MN. Margarethe had grown up as a Nosbusch, just a mile north of town. 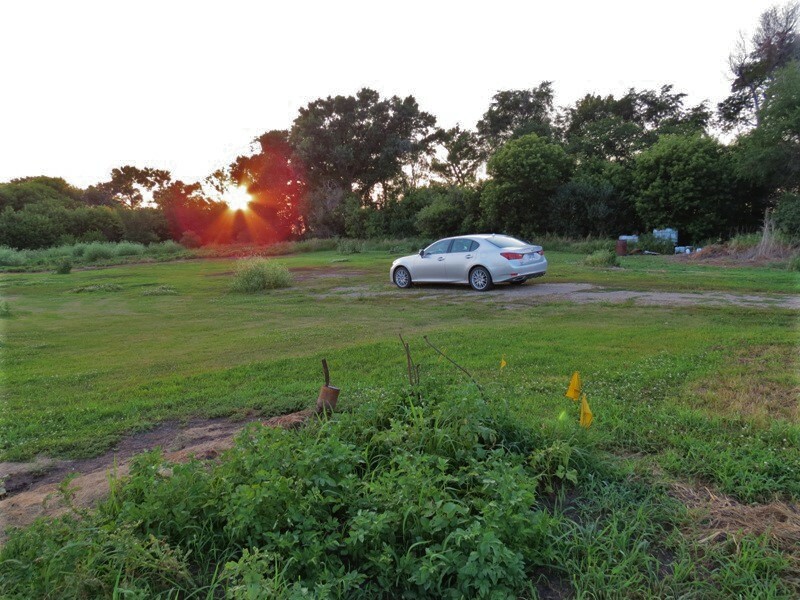 August was a newly arrived immigrant, a young single who bought land a mile south of town. I visited both the Beck and Nosbusch farms, as well as the St. Leo Cemetery where 2GGPs Beck and 3GGPs Nosbusch are buried. The August Beck farm near St. Leo, MN. 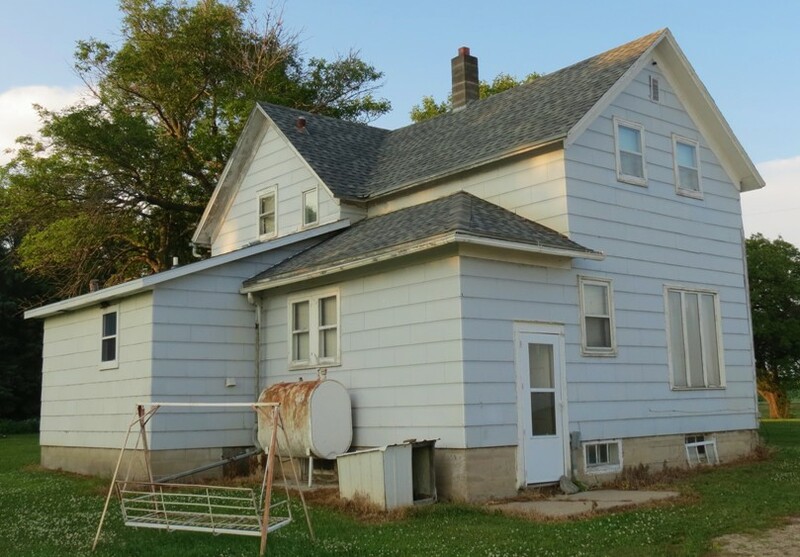 Great Grandpa John Beck grew up here before bringing the Beck name to ND. The house is gone now … for who knows how long. 2nd-great grandparents August and Margaret (Nosbusch) Beck, St. Leo, MN. 3GGPs Nosbusch (Great Grandpa Beck’s maternal grandparents), St. Leo, MN. I had to walk the whole cemetery twice to confirm that this was the right grave, because it doesn’t bear their first names! I had a photo of the house that 3GGF Nosbusch built. The house that I saw on the lot looked similar but different, so that was confusing. Of course, a lot can change in a century. I know that I was on the right property, because an old map identified a schoolhouse on the Nosbusch land. When I was there, I met a boy who lives there now. I asked him if there used to be a schoolhouse there, and he knew exactly where it had been, where some siloes stand now. So this was definitely the right land. I’ll post both pictures here and let you decide. 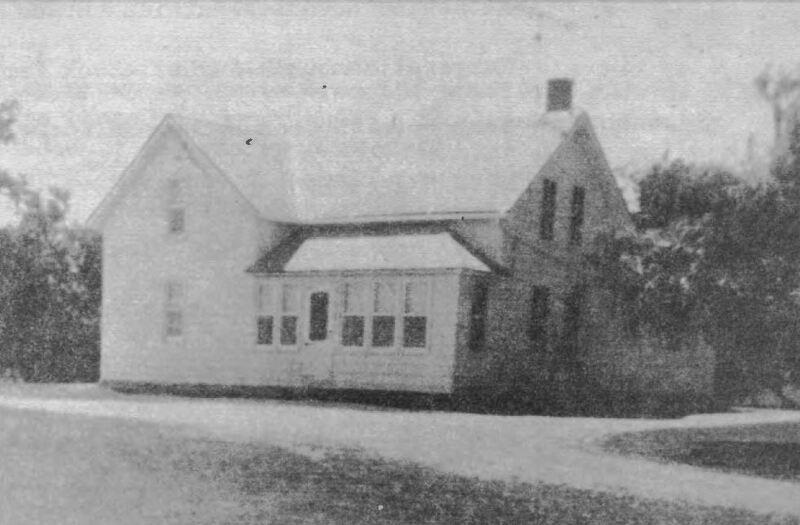 The house that stands on the Nosbusch farm now. So similar but different — look closely at chimneys, windows, etc. Do you think it’s the same house? I have put together a book about this whole trip, which explored Fagerland, Meyer, and Korb history as well. The book details my research (how I made my discoveries) and then presents a daily travelog of this two-week adventure. You can purchase a copy here if interested. There are two price options, hardcopy or PDF / eBook. 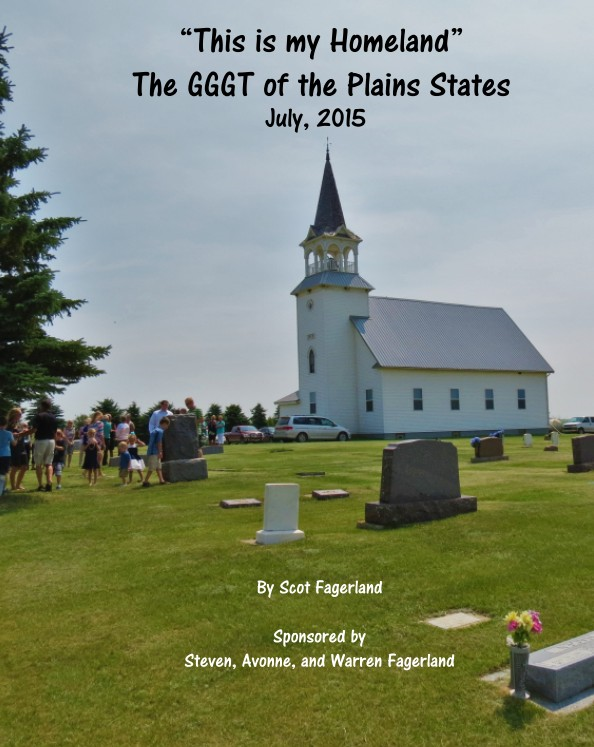 This entry was posted in Genealogy and tagged Beck, Family history, GGGT, Helten, Minnesota, North Dakota, Nosbusch on August 10, 2016 by Scot Fagerland.